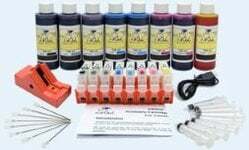 This InkOwl-brand ink refill kit contains enough ink to refill most EPSON CLARIA black cartridges 12 times and most color cartridges 12 times. Use this chip resetter to extend the life of certain original Epson ink cartridges. This InkOwl-brand ink refill kit contains enough ink to refill most EPSON CLARIA black cartridges 12 times and most color cartridges 6 times. 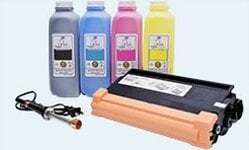 This InkOwl-brand ink refill kit contains enough ink to refill most EPSON CLARIA black cartridges 12 times. 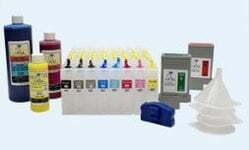 This InkOwl-brand ink refill kit contains enough ink to refill most EPSON CLARIA color cartridges 6 times. 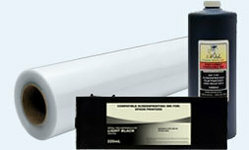 This product contains 6 easy-to-use refillable cartridges for EPSON Expression Photo printers.